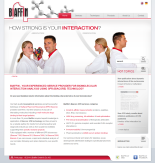 The following general business terms and conditions (hereinafter called GBTs) shall apply exclusively for all deliveries and services of Biaffin GmbH & Co KG, Germany. Our GBTs shall be deemed to be accepted by placing orders with Biaffin. Any deviating or additional agreements, in particular business terms and conditions of the customer, shall only become part of the contract if Biaffin has confirmed and acknowledged this in writing. The prices in the catalog represent the applicable price list of Biaffin and shall apply accordingly upon conclusion of the contract. Our prices do not include value-added tax and are subject to change without notice. Shipping and handling will be charged separately. Invoices shall be due and payable within 14 days after invoice date without deduction. For new business relationship we may require payment in advance. The statutory provisions shall apply on default of payment. Orders can be placed by fax, e-mail, mail or telephone. Offers and orders become only legally binding if they were confirmed by us in writing or if we sent the commodity and invoice to the customer. Offers are without obligation. Unless we receive express written shipping instructions the method of shipment will be determined by us. The risk of loss or damage to goods shipped passes to the customer upon our delivery of said goods to the freight forwarding agent or mailing service. The customer is responsible for customs duties and taxes as well as a rapid dispatch during customs clearance. Biaffin is not liable for any damage to the goods occuring due to delays during customs clearance. Shipping and handling will be charged additionally and depend on destination, weight of goods and type of shipment (wet or dry ice, room temperature). Dates of delivery and deadlines for services shall only be binding if they are confirmed in writing by Biaffin. We are able to recede from the delivery in case of special circumstances which are caused by the customer or by the supplier of starting material. Any claim for faulty, damaged or incorrectly delivered goods must be received by us within 14 days of the date of invoice. We will not be obliged to honour any claims received after this time. Liabilities for applications are always excluded. To the extent allowed by law, our liability to you (whether in contract, tort - including negligence, or otherwise) arising directly or indirectly out of goods supplied by us or their use, is limited to the replacement of the goods or refund of any moneys paid for the goods. Under no circumstances will we be liable for loss of profits, consequential loss or other indirect loss of any kind. Payments have to be settled via bank transfer to our banking account in Euro currency without any deduction. Amounts past due are subject to a late charge of 1.5% per month (not less than 10 Euro). Overdue accounts may be placed with a collection agency. In the event an account is turned over to a collection agency or attorney, the person responsible for the account agrees to pay a collection fee, court costs and any other reasonable cost of collection. In the case of cancellation of an order by the customer before shipping Biaffin GmbH & Co KG is entitled to charge all costs which resulted from the cancellation. All delivered goods remain our property until the customer will have payed his entire commitments from the business relations. The contractual relation is subject to the right of the Federal Republic of Germany. The regulations of the convention of the United Nations over contracts over the international goods purchase do not apply. We are entitled to process and store all relevant data about the customer considering the regulations of the Federal Law for Data Protection for our own purposes. The place of delivery for the obligations of the customer is Kassel (Germany). Kassel is exclusive area of jurisdiction for all disputes resulting from the contractual relation. All our products listed in this shop are supplied for in vitro research use only. They have not been approved for any other purposes including, without limitation, diagnostic or therapeutic purposes, use in preparation of food or pharmaceutical products nor for administration to humans or animals. All our products are intended for research use only and are delivered to academic and business customers with adequate skills and professional background only. We do not supply private customers!